The fight against climate change is already as hard as it is but it doesn't just mean fighting natural elements. Turns out, it doesn't even mean just fighting big conglomerates, trying to change government policies or trying to convince people that what we're doing to our planet is destroying it. For some people, being a climate activist means putting your own and your loved ones' lives in danger. 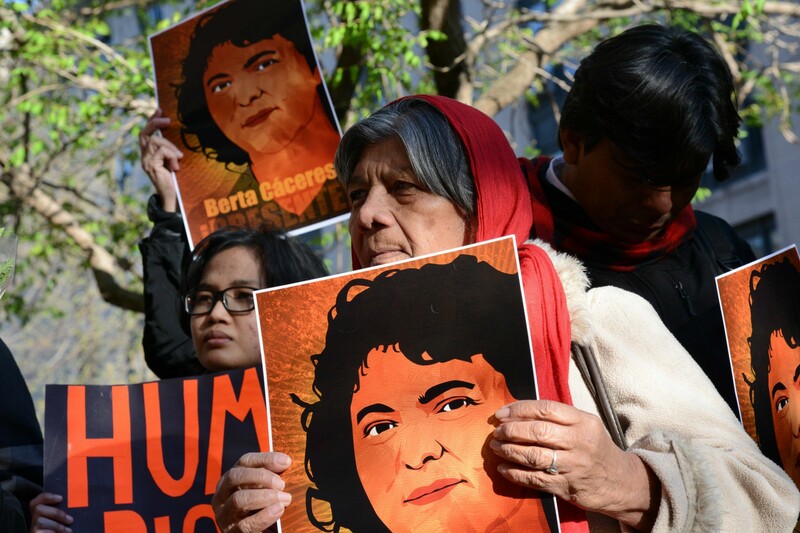 Latin America is one of the most dangerous places for climate activists, especially women. Read this excellent piece from Open Democracy on the challenges women activists in Latin America face in their fight against climate change. Berta Cáceres solidarity rally, Honduras 2016. Photo: Flickr/Daniel Cima/CIDH. CC BY 2.0. If we want to stop humanity from destroying the living planet we need to start thinking beyond the current time and beyond borders. SpaceBuzz is an organisation that is aiming to do both. It's based on the idea of the 'overview effect', something that astronauts who see the earth from outer space experience, that allows them to see it as a "fragile ball of life". SpaceBuzz's mission is to give this experience to as many children so that they will grow up not taking the earth for granted. We talked with Spacebuzz's founder Hidde Hoogcarspel to see where Spacebuzz is headed (other than to infinity and beyond).